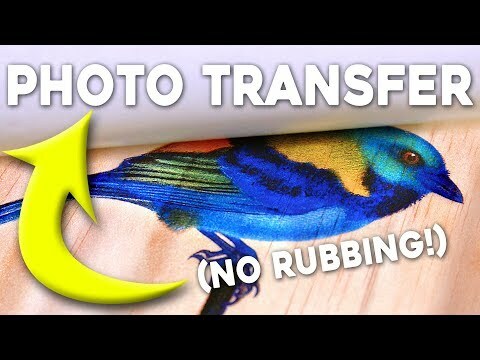 We put together a how-to guide regarding photo transfer to wood. Find out how to transfer images to wood with our DIY tips. Rapidly disappearing are the days of darkrooms and photo negatives, it seems an ever increasing phenomenon that the preferred ways of displaying photos are via digital means. Online photo albums like Instagram and Facebook are making the old ways ever more obsolete. At one time there was something special in being able to take a used film, full of negatives, to your local camera store, then receiving a few days later, a pack of physical pictures, this is sadly something this is seldom known by our youth. Family memories are precious and the most relevant photos still deserve to be displayed in the best and most lasting way possible, and what better way to display that special memory than by transferring it or any picture for that matter onto a piece of wood and turning it into a true work of art. 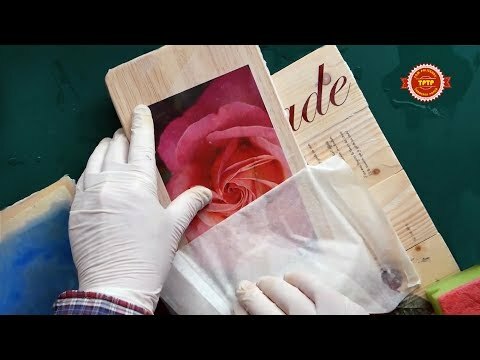 This article is going to walk you through the step by step process of transferring any photo or picture you want onto a wooden slab. The method behind this is so simple you will be amazed, I promise. It is so simple in fact, it could make for a fun-filled family activity with an outcome so beautiful you could open your work on your own online store and sell your work. The possibilities are endless but before we get ahead of ourselves lets start at the beginning, that is to do the first transfer and see if you develop a taste for it. This article is a step by step guide as well as an informative article, teaching you new and improved techniques while providing helpful links to instruction videos and the materials you will need. Before you start the transfer process, there are a few tools and materials you will need. It is definitely best to get everything before you begin so you aren’t stopping and starting the process over again, doing so is an easy way to lose track of where you left off and thus make mistakes going forward. Below is a short list of said materials and a description of their use. Picture – The picture seems like the obvious place to start, it is the part of the process that will ultimately be the deciding factor as to what type of wood you choose and what the finished product will be used for. Picture wise there isn’t really much to say in terms of restrictions as there really aren’t any, as long as an image can be transferred to a computer for print then you are fine. The image in use can range from a simple photo or online image all the way up to a hand-drawn picture, to use a hand drawn image or something that is not digital to start with, you will need to scan your picture over to a computer beforehand. Keep in mind that is doesn’t have to be restricted to images only. Text, logos or pretty much anything can be transferred, again, as long as it can be printed. Wood – The need for wood is pretty apparent if your goal is to transfer a picture to it. Just to throw it in there before we start, there are ways and means of doing this process for other materials like glass and ceramic but the focus of this article is for transferring to wood only. To find out about others options there are plenty of resources and videos available online. The type of wood is a bit less of an issue as almost all will work in one fashion or another, it’s largely dependent on what sort of picture you are aiming at transferring. Now the prep work of the print surface will come later, however, just for now that any surface you decide to print on will need to be stripped of any varnish and paint then cleaned. For the moment, let’s concentrate on selection, almost any type of wood will work however a general rule is, the lighter the better, better being in relative terms of the final outcome of the print being clearer, with greater contrast, detail, colour and overall quality. That said, as with most parts of this process that rule may change, it depends on the final look you’re going for. You may want a darker piece of Mahogany, for example, to transfer a meaningful poem or rustic style picture, that being the case then try and make the image lighter to keep a higher contrast. Consideration should also be given to the wood grain structure. In certain image types and colours this can show through so either avoid it all together by choosing a none grained wood, or if you can and want, find a way to merge it in, making it part of the transfer effect. Where you get your wood is another considerations, your source can range from buying a brand new sheet or beam from a construction supply store, breaking down an old freight pallet or piece of furniture. Using the latter methods means you’ll have to do a bit work to the surface to ensure it is smooth, I will go through all this later in the article though under preparation. Paper – Here I will avoid saying much as I will go over it more in Step 1- Preparing a photo. For now just be aware that, a certain type of paper will be needed but ultimately what type is up to you, there are a few different options depending on what development process you wish to use, and that will be the deciding factor. Gloss Gel Medium – This is the stuff you’ll be using for the actual sticking of the picture. Now there are MANY different types and brands of product to choose from. One such product and a favorite of ours is Liquitex 5321 Professional Matte Gel. We chose this product for a number of reasons, first being that it is very reasonably priced and will last for a lot of transfers, next is the ease at which this particular product can be sourced, as well as online it is available in most hobby and DIY stores across the states, finally this particular gel is just about the highest rated on the market for the average, in-home hobbyist. It gives amazing results and after doing extensive research is rated by a almost all of the top related YouTube channels. NOTE: Do Not Use PVA! We know a lot of people start this process out with PVA because it is cheap and easy, but as the techniques and process developed, so did the awareness of how much a hindrance PVA is, it lacks strength and has a terrible habit of ‘clouding’ an image. Top Coat – Clear varnish or something similar is essential for ‘sealing’ the image post application. This helps to stop the surface and image getting damaged or dulling. Varnish is not the only product to be used here, really this is one for debate as each person who does the photo to wood transfers, tends to develop their own methods. Some people prefer to use a clear lacquer, others use furniture varnish and some people prefer clear coat, the type used to seal off paintings and drawings to stop the inks smearing. Through that method, hairspray could also be used. For starting out however and to avoid any unnecessary expense for your first attempt, I recommend simply using the Gel medium you stuck the image down with as your top coat. This works perfectly well and since you already own it, it won’t cost extra. NOTE AGAIN: Do Not Use PVA! Now we know we have put this twice now but you’ll thank me later. In both pre and post process care, PVA is the devil. More so in post, since this stuff is glue, not a sealant. While it dries almost clear it isn’t completely transparent and will leave a haze over your final image. That seems like a pretty easy way to ruin your final piece don’t you think? Foam Applicator – Now this one might seem a bit of a novelty but the reviews do speak here. Our advice for a decent and cheap application tool would be a foam brush such as the Loew Cornell 841 20-Piece Foam Brush Set. These are sourced easily from Amazon or almost any craft store or DIY store. These are cheap and reusable, so a pack of ten or twenty will last you a long time and for a great many transfers. They are recommended because of their versatility and ability to soak up excess fluid while providing a very even and consistent coating which is what you need. Traditional paint brushes we advise you avoid, main reasons being the brush strokes they leave can easily cause air pockets and you will always run the risk of leaving behind bristles which would ruin a transfer. Materials prepped and ready, it is time to get started. Before we begin any sticking or transferring, it stands to reason we need a picture to use for the process right? Its unlikely, however, that any old photo will do, you may be wanting to change the photo before going to a small amount of effort it takes to do the wood transfer, it is effort none the less so your photo wants to look it’s best. Now you don’t have to be a genius at photo editing with the latest software to do this. For example, all that may need changing is the sharpness of the picture or the colour altering to make it a black and white photo instead of colour. Now there are plenty of free software option out there to do this. A personal favourite is Photo Editor that comes free with Windows 10. This is quite basic but very usable with many filters and options for minor alterations to a picture, as far as free photo editing goes it is a pretty decent option. If you’re after something that offers a few more skilled user options, but still don’t want to spend any money then try an online resource called Pixlr. It is a completely free, no sign-up, in-browser editor that offers a wide range of options from photo filters to drawing and text tools this one really is all inclusive and has an added bonus that it won’t interfere with your ‘photo negative’ as I like to call them. This refers to your original file, since you upload your picture, leaving the original intact on your drive, the changes are all made through the browsing window then saved as a separate file, ingenious right? The homepage option to choose in the Pixlr browser is the Express option, Editor is more for editing pictures ready to upload onto social media. Colour, now just to throw this in so all bases are covered, yes, you can transfer colour images as well as black, white, grey and any other you come across. Image reversal, this is something you really need to be aware of when doing the photo editing, especially with text. When you transfer an image to wood, it will be reversed as demonstrated in the image below. Because of this if your text is standard left to right on your paper, when transferred it will read right to left, this is why photo editing is important, you must remember to reverse the image before you print, that way while it will be back to front on paper, once transferred it will read as intended. Once all the editing is complete then your picture will now be ready for printing, almost, but before you do there are a couple of considerations as always. The first being printer types, the second being paper type. Starting with printer type then, there are two basic options for the average user, the first is inkjet with the second being laserjet. Now popular opinion according to many Youtube videos and guides is that inkjet will not work in this process, we can tell you that this is simply not true. Both printer types will work, however, what is true is that inkjet tends to give a lot more of a faded and less crisp image, the transferred image is usually far less clear in colour and detail, sometimes this can be an advantage depending on the image and final outcome you desire. If you are transferring something where a dulled out faded look is a benefit then it will be a good thing. For a lot clearer, more sharply defined image, with better colour saturation then use laserjet. This is considered the go to option as a standard but just be aware that despite the popular belief, inkjet can have a use. Now the next consideration before printing is the paper type, there is a vast array to choose from and almost all work, below are just a few of the most common types and their practicality. Standard printer paper – The mainstay and most likely option you’ll have laying around, now this does work well with the advantage being in the rubbing area since this type of paper is a lot more porous meaning it absorbs water a lot easier and thus disintegrates easier. The disadvantage of this type of paper over more specialty types is that the image tends to be a bit duller and less sharp. By relative terms, standard printer paper seems outdated compared to what is available on the market these days. Photo paper – This is a better option for doing a photo to wood transfer, largely due to the quality benefits it offers to the picture. Photo paper gives a clearer image and more sharply defined lines which is a benefit as this is often the first thing that suffers in a transfer. The downside to photo paper can be the expense, especially if this is your first try and you don’t want to buy an entire pack. If that is the case I advise print off your picture in as higher quality as possible, on whatever printer you have, then take it to your local Staples store or any of the numerous others that offer printing service. For only a few cents to a dollar, you can have your photo transferred over to high-quality photo paper. If you are only doing one to start with as you trial run, that may be a better, cheaper option, especially if you don’t have a laserjet printer. Transfer Paper – This option of paper offers a slightly different method of working and is often seen as simpler than the rubbing method that the previous options require. The initial process is the same but developing is slightly different as explained in Step 4. Mailing label paper – Now this method is a lesser known, but one we really want to focus on in this article. The research we’ve done is showing this new, yet not very well known technique, to offer the best finish. Hands down it is one of the tidiest and cleanest processes that offers by far the best quality in terms of raw image transfer. The method to print onto this sort of paper may surprise you but trust in the process. First, you need to remove all the sticky labels from the paper, if you do a lot of mailing of items I would recommend printing these first then you aren’t just wasting the paper or money by throwing to labels away. Peel these off and don’t forget to remove any borders that get left behind. Now you have your paper, you’ll notice there is a rough side which was the opposite side of the labels and there is a smooth side, where your labels where attached. The smooth side is what you need to print onto. Once done then follow on with my guide. You can get this sort of paper HERE. Once the photo is ready and you have chosen what paper you wish to use, then all that’s left to do is print. Choose the highest quality you can and remember to make sure the image is the right size for the wood. Remember at this stage, give a final check with regard to image reversal. On the computer, it should be back to front to ensure the image will come out the right way round on the wood. This is especially important for text. The next stage then once your picture is sorted is the preparation of the wood. Having already discussed wood types, and colours in the first section I won’t go back into it here. Cutting may have been done but if not then use your printed image to establish position and size of the wood then cut, and finish the edges. Once cut to size and shaped, you must prepare the wood’s surface, this is part mechanical which we won’t go into to much detail with as that isn’t the focus of this article. We will just supply a quick run down and say that you do need to sand and smooth the edges, then the surface needs prep, the smoother the better. Start at around four to eight hundred grit glass/ sanding paper then gradually move up. You’ll want to be around the three thousand grit mark to finish, but really it depends on what you can source locally or online. Again we won’t post links here because it more falls to the realms of what a person feels comfortable in paying and it isn’t technically essential for the process just highly advise. Also, online purchasing for products like this will inevitably be more expensive than a local hardware store because of postage and packaging. The smoother the surface the better the transfer but pristine may no always be what you’re after. Consider as well if you are going to add borders to the wood, if so do this prior to the transfer. Any heavy mechanical work can risk the integrity of the picture and means you could have to start again or worse, have to scrap the piece of wood entirely. So the surface of the wood is smooth and clean, you should now consider priming it. This will help to remove grain and any potential spaces that could cause air bubble or blemishes. It is important to get this right, having spots or inconsistencies on the surface could make the picture peel off during developing. To prime, you can use the same gel medium used to stick the picture down. I know that varnish is often used as it gives the same effect of smoothing the surface but to me, it seems pointless, especially for your first attempt spending money on extra materials you don’t need, not yet anyway. So you have your picture and wood printed, cut, shaped, smoothed and primed, it’s time for the application, we will break the next section down according to paper type, so scroll to the relevant place since that determines your method going forward. At the beginning of this stage, you should have your transfer paper ready and your wood in front of you fully prepared with the priming coat applied, dried and smoothed if needed, use as higher grit paper as you can get. Next, you need to clean the surface of all dust and particles and apply a fresh coat of gel medium. This time you want to pay closer attention to thickness and consistency. Not applying evenly or thoroughly can cause air pocket and other defect leading to the image peeling off. Applying to thick could have the same effect. Using the foam applicator helps with determining this but try to go about as thick as scalp hair. With the glue or gel applied, you’re ready to stick down the image. To do this simply take your print and lay it face down on the medium you’ve just coated, so do this while still wet. Begin to smooth out the image by hand, starting in the centre then working outwards to force the bubbles and creases out from under the paper. The paper may start and get damp so be careful not to tear through it. There is no end of tools and imaginative ways of improving this little bit of the process, but for your first try, we would recommend a good old fashioned dry sponge to help absorb any excess gel, also consider a plastic ice scraper or something similar to smooth out the paper. Plastic should be soft and forgiving enough that it shouldn’t tear the paper but rigid enough to be effective at removing bubbles. Again start in the centre and work out going slowly until the image is completely smooth. Make sure you avoid moving the paper when it is set down as you run the risk of smearing the transfer before it has had a chance to set. Once the image has been applied and smoothed out then leave it to dry. This is not a leaf press so as tempting as it might be to leave a heavy object on top to keep it flat, don’t. All you’ll do is stick an object to your transfer which would not be good. Ideally, you should leave it overnight or for a couple of days for larger bits of work to make absolutely certain the glue or medium is dry. Now we know that the hair dryer method is being used more frequently to speed the drying process up, and for what it’s worth, the feedback seems pretty positive with regards to using this as a valid means for the impatient types. So all we will say is try experimenting a little if you decide to do this more than once and err on the side of caution. Getting the glue or medium too hot could potentially lead to bubbling and knowing if the piece is truly dry or not underneath may be hard to tell because of the heat. If you do want to be safe then be patient and leave it over night. We have decided to refer to this stage in the process as developing the image, we call it this because it most reminds me of the days when photo development was done in a dark room with trays of chemicals and a skilled eye, compared to modern digital photography which is available to everyone with a smartphone and computer at the least. As you work through the processes in this stage you see the image come to life before your eyes which is almost magical. The next point in the process is presuming your transfer is stuck down in a satisfactory manner and is also completely dry. Normal & photo paper, is what you will refer to in this section, for transfer and label papers see below. So if you are transferring off normal or photo paper, the first stage is to slowly damp the paper while it is still attached to your wood. Using a clean sponge and ordinary cold water start and slowly work the water into the paper. Be careful as to avoid drenching the paper and wood so much that things begin to swell as this could cause the image to lift or simply wash off. Keep working the water in slowly until all of the paper is soaked, you will see the colour change in the paper when it is adequately damp. When you feel you have damped the paper enough, take off all rings, jewelry and anything else you feel could compromise or scratch the print, then begin to rub, using your thumbs only to start, gently rub back and forth on the paper until you start to see it coming off in small rolled up pieces called fluff. That is what your aiming for so keep working it. Be careful not to rub too hard or fast and keep dampening the paper so you don’t run the risk of tearing through it as this will also tear the print. This is quite a laborious task so have patience and don’t try and rush the process, doing so will only lead failure. Once the initial layer of paper is cleared off you should see the image, as if by magic, printed on the wood. You need to clear all excess paper and water with your sponge and gently rub on the transferred image, pay close attention to see if there are still white rubbings of ‘fluff’ coming off. If so then there is paper left and you need to continue, be sure to go even lighter with rubbing at this point. As tempting as it may be to just leave it, the image will look clear as anything when wet but once dry the white will show up and you’ll be left with a haze over your image. Once you are satisfied with the work you’ve done, you’re confident there isn’t and paper left then proceed to Step 5. Transfer paper method, is a good option although one that is becoming harder to do as the transfer paper itself is becoming more scarce. There are still websites and stationery stores that sell it you’ll just have to hunt around for a good deal. With this method you’ve let the gel medium dry, once it is you need to proceed with cold water and a sponge, apply water over the paper until it is soaked through, you will know when because the paper goes almost clear. This time, instead of rubbing to remove the paper, simply start with a corner and peel off. Do this slow and make sure to feel for any build up in resistance, if there is you need to stop and wet it some more. If you do this right and have applied enough gel then there should be no tearing in the print, ideally, the paper will also come off in one go. Perchance it rips then gently fluff it up by rubbing it and peel it off. Shipping labels, are our personal favourite. By far the easiest process and also the cheapest overall. Once you have applied the glue, simply let it set with the image surface (shiny side) down. Once completely dry, start with one corner and carefully peel off. It really is as simple as that. There is no need for water or damping of paper. The unique gloss finish is purposely designed so sticky labels come off in one piece leaving no trace right? Well that’s effectively all your recreating here. If done right the paper should be left intact ready for reuse and the transfer should practically fall off, meaning a crystal clear image is left on the wood. Brilliant ey! At this point then you will now either have a nicely transferred image or a disaster and have to start over. Hopefully, you have a transfer you are happy with so now you need to protect it. To do so you want to apply some sort of top clear top coat to seal in the transfer and stop dust or grit damaging it. Clean your image first by getting rid of any dirt or leftover paper from the ‘fluffing’ process. For the liquid itself, the use of clear varnish is common at this point, as is simply applying more of the gel medium which should work effectively. What you absolutely don’t want to use, and we know I’ve said it many times now is PVA. Especially in this final stage as it is almost guaranteed to undo all the previous work by leaving a big, white cloudy haze over your print. When applying use a paintbrush, or even better, since you already have them available, use a foam brush for an even coat. It would spoil a lot of work to get a bristle stuck in it right and although this process is not exactly hard work in the classic sense, when done right these wood transfers can really be a work of art so don’t take any unnecessary risks, especially in the final stage. Finally, we arrive at the goal, you have the wooden plate with a beautifully finished print, what now? Well first off consider where you are going to display the print. The beautiful thing with it being made from wood is that the frame or plate is well equipped for brackets, hooks and stands to be attached with little effort. Likewise, if you fancy smartening it up by fixing borders or even painting the frame then all these are options that are available to you. Just make sure you avoid any damage to the print. That done you are finished! So well done.. So finally we made it, the end of the process and the end of the article, we truly hope this was an informative and helpful read. The research gone into this article was organised into a way to give you a clear understanding of how to accomplish this yourself with very little effort. This whole process is one of learning and anyone undertaking should know that from the start. There are many different ways but no specific right way, just a few definite wrong ways. What we did discover during our research, and what really made us happy was seeing how many different ways, such a simple activity could be used. The process itself is very safe and simple meaning it could be done with the kids as a family-friendly activity, and with the use of a hair dryer would take no more than a couple of hours. Seeing how professional and beautiful these prints can come out, however, means there is real potential for a business to be made here. If a person can find unique enough designs, perfect the process and market it right then who knows the potential.